Grete Marks, Teapot, ca. 1923-1932. Museum of Art, Rhode Island School of Design. I’ll share a bit about Grete here, but just enough to tease you because, if all goes well, I’ll be able to talk about this topic in much depth in years to come. (Hint, hint.) The facts are that Grete was born Margarete Heymann in 1899 in Cologne, Germany, to a Jewish artistic family. 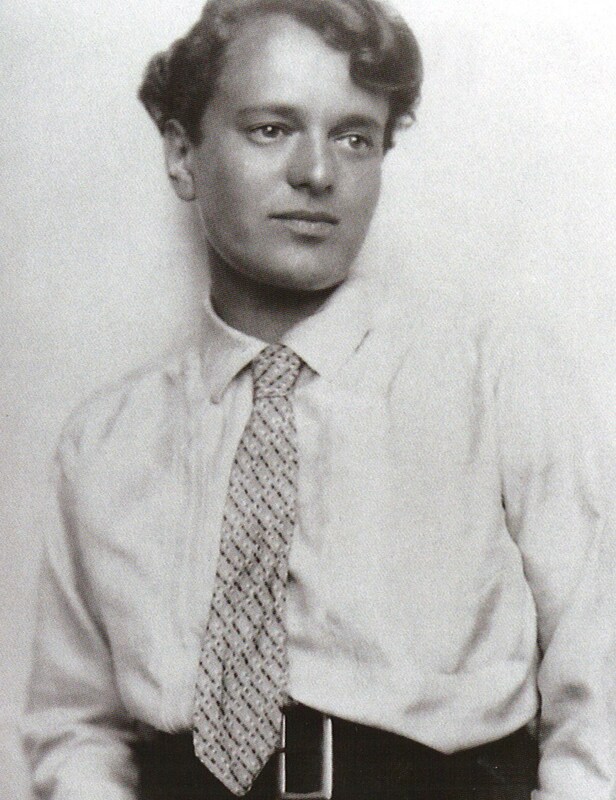 Young Grete trained at Cologne and Dusseldorf Schools of Art in painting. She was accepted into study at the Bauhaus School in 1920 where she was exposed to Modern art and the planned intersection of craft and industry. 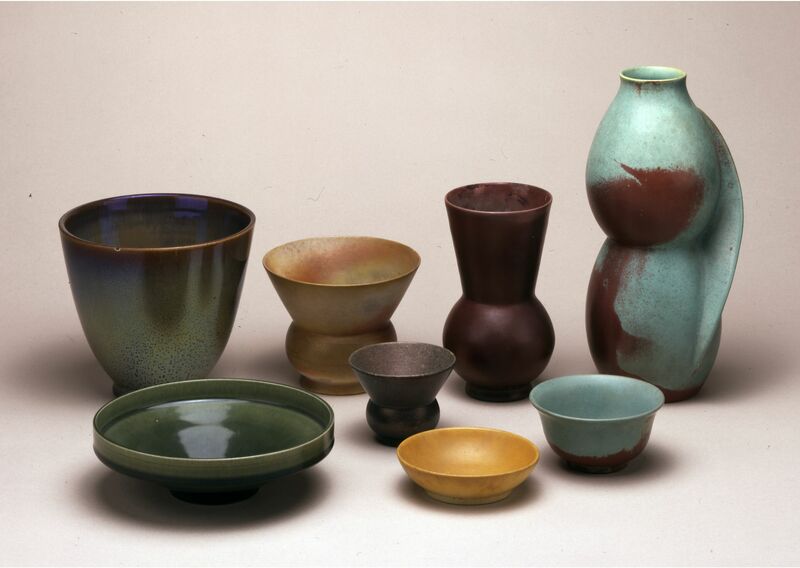 Grete Marks, variety of ceramics, ca. 1923-1932. The British Museum. 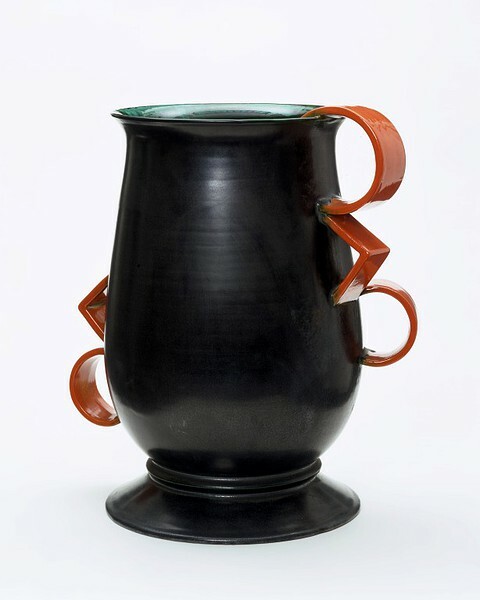 After studying at the Bauhaus pottery, she left the school, married Gustav Loebenstein, and operated a successful ceramics called Haël Werkstätten für Kunstlerische Keramik (“Hael Factory for Artistic Ceramics”) in Germany through the 1920s. 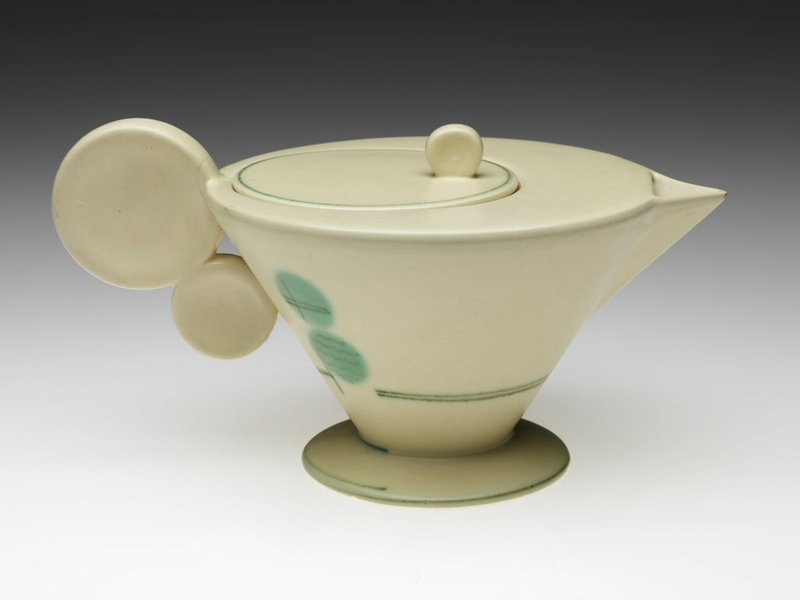 Her factory made a variety of styles, both based on vernacular German stoneware and forward-thinking, harshly geometric forms like the conical teapot at top. In the early 1930s, layers of tragedy fell upon Grete. The German export economy was in dire straights, especially for Jewish-owned businesses. Grete’s husband was killed in an auto accident, and then the Hael Factory was forcibly overtaken by the Nazi party in 1934. Her ceramic designs were publicly derided as “degenerate” in Joseph Goebbels’ Der Angriff newspaper. Grete fled with her two sons to England for a fractured career in The Potteries at Stoke-on-Trent, but she never recovered her artistic and entreprenuerial glory. Grete Marks, Vase, ca. 1923-1932. Victoria & Albert Museum. Grete’s is a dramatic story that ties into great art movements (German expressionism, the Bauhaus) and some of the most dramatic moments of 20th-century history. Why don’t we know her story? What happened to her? How can the shape of a teapot be considered “degenerate”? These are themes I’ll be working on in the next few years. In Berlin this October, the German Historical Museum mounted the first big exhibition to focus on Adolf Hitler and his relationship with the German people. Click here for a BBC news film clip with the Museum’s director Hans Ottomeyer. An excavation in Berlin turned up art previously thought destroyed by the Nazis. This NPR blog article discusses the discovery of this “deviant” art. This entry was posted in Art, Curatorial and tagged 20th century art, Ceramics, Decorative Arts, Design, German Expressionism, Grete Marks, Modern art. Bookmark the permalink.